Someone once said to me, you should never have to pay credit card annual fees. Its somewhat true because most cards when you do intend to cancel it, they are willing to waive the credit card fee. In the past I've received a refund on BP Citibank card every year. The Everyday Money Woolworths card has also offered a waiver of the annual fee for the year as well. 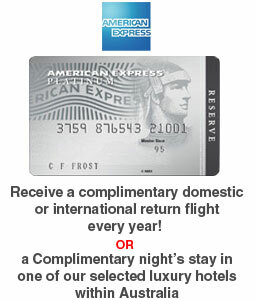 One time, I was offered two years annual fee refund to keep my American Express Premium Card. But there is one credit card which never offered a change in the annual fee even if I were to cancel. 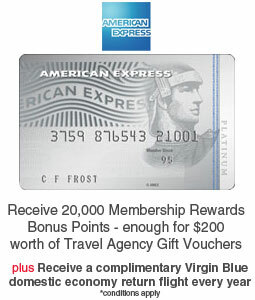 It is the American Express Platinum Card for Chartered Accountants. This card is normally $395 but CA accountants get it at $295. After the AMEX Platinum Edge Card recently came out as we reviewed in an earlier post, I decided to apply for this new card, getting all the benefits of my existing Platinum card for half the price. After applying, I called up to cancel the $295 card (now called the Platinum Reserve Card) and they offered to give me 50% off the annual fee with a $150 rebate. Thinking I could always use this card's free return flight to Bali or domestic destination, I decided to keep the card and have the awkward situation of having... two platinum cards and two flight redemptions (and luggage incl) in the coming year for under $300! So there you have it, if you are in a similar situation, let us know how you go and what you decide to do. Hey Anonymous, actually I did not choose to switch to edge, I applied for Edge but when I did I did not tick the "transfer existing card etc" box in the first section of the application form. So since I did not cancel my CA (or CPA) AMEX Platinum card, i will have an Edge and my CA Platinum Reserve Card :) Two platinum cards.. so probably wont get a home loan with so much debt!